"I need to poo" - One thing you don't want to hear during your wedding ceremony. 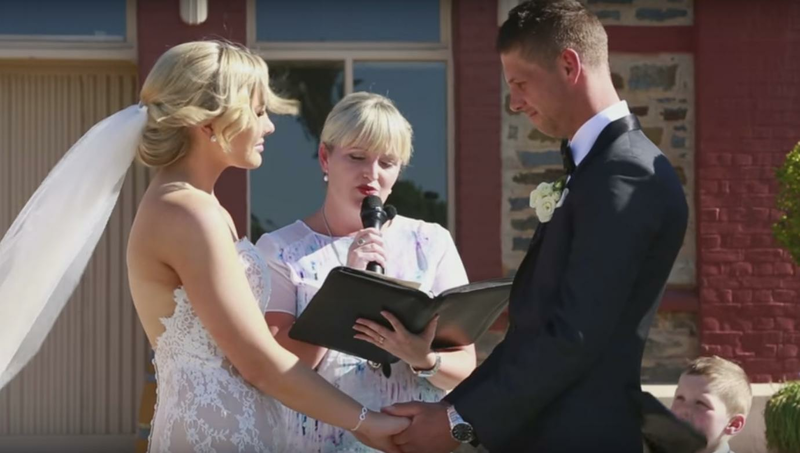 Hannah and Ben Lienert from South Australia were standing hand-in-hand at the alter of their wedding, about to say their vows in front of their guests, they were abruptly interrupted by their three-year-old son, Hudson, who declared: "I need a poo!" Read more: Watch Bridesmaid Demolish Best Man In Wedding Dance Off! 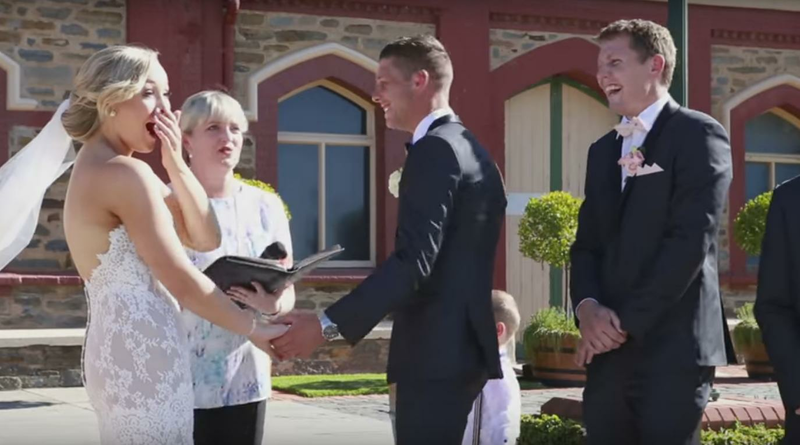 After Hudson's cringeworthy declaration, the bride and groom were seen throwing back their heads in laughter as Hannah asked between tears of laughter: "What just happened?" Coming to the boy's rescue was his aunt, who took Hudson's hand and whisked him away to the toilet for a not so sneaky number two. 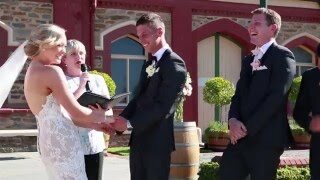 "That is the definition of being upstaged I reckon," the celebrant said and enjoyed the funny side before attempting to rekindle the romantic moment. "I've got some serious words now, we'll all try and concentrate." Posting the clip to Youtube, Ms Lienert wrote: "Children and weddings don't always mix, but they sure know how to make them memorable."